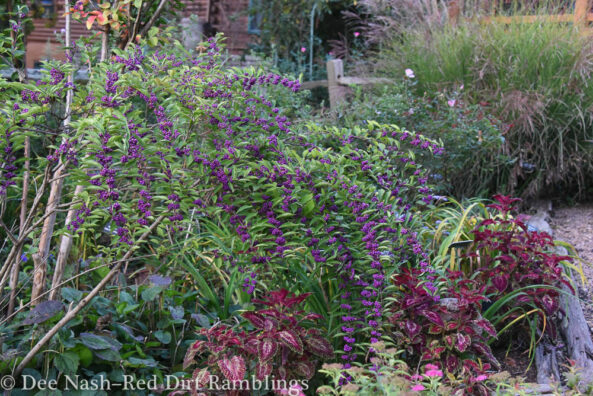 One of my favorite things to do on cooler Autumn days is tour gardens online and in person. 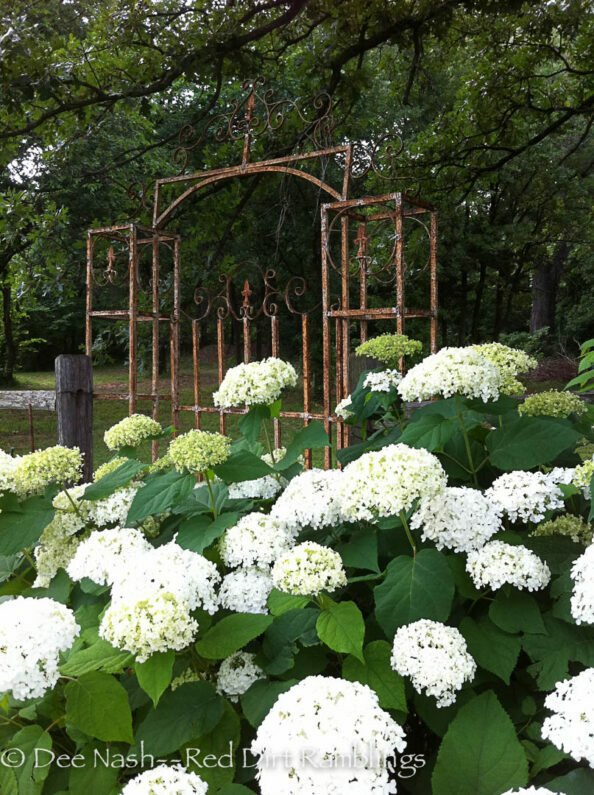 Although the garden harvest is just about complete and the flower beds are usually getting tucked in for the long winter ahead there are gardens that are filled with captivating color that has persisted throughout the growing season. 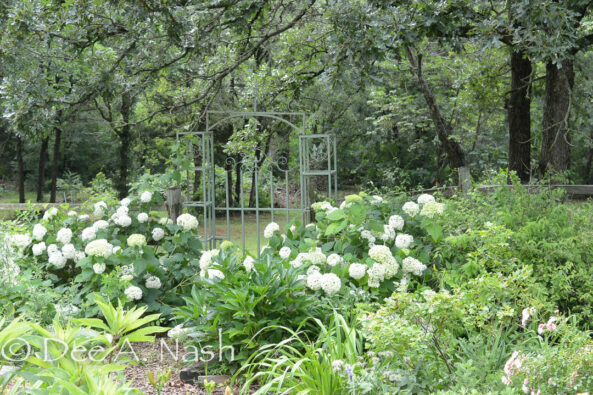 One such garden is found at Author Dee Nashs’ home in Oklahoma. 1.What hardiness zone are you growing in? Zone 7a Oklahoma between the Great American Prairie and the beginnings of the deciduous forest. 2.How long have you been gardening? I think I put in my first outdoor garden when I was 19, but I gardened indoors years before that. I’ve always been fascinated with plants. My grandmother was very influential in my life, and I followed her around her garden. She taught me a lot even though I was little. I sometimes still hear her voice when I’m considering how to do something. 3.What do you love most about Autumn in the Garden? I just wrote a post on my blog about all things fall. I love autumn because the weather cools off—although this year, Oklahoma is setting fall temperature records. I love all the colors of fall from brilliant orange pumpkins, to light blue or purple asters, mums in every color, changing leaves of yellow, brown and red, and the still beautiful background of green. I also love fall vegetable gardens. There are fewer insect pests, and cool weather crops often mature in Oklahoma before we get a freeze. Oh, and there’s Halloween and trick or treating too. Fall apples, apple pie—gosh, I could go on an on. 4.When did you first start growing a kitchen garden and what was it like before those amazing raised beds featured in the video? My first kitchen garden was a small rectangle or square. I didn’t know the first thing about what I was doing. I didn’t fence it, and the rabbits ate everything. I waited a few weeks and bought fencing. That garden was around for a long time. Let’s see, the first kitchen garden was about 27 years ago, give or take a year. I didn’t put in the raised-bed potager until 2010. I try to grow all of my herbs in it so I can run out there and snip something right before dinner. I also have a larger vegetable garden that is still a rectangle, and in it I grew a cutting garden, along with sunflowers, okra, green beans, tomatoes and ‘Glass Gem’ corn. I really enjoyed all of my gardens this year. We had good weather. 5.Do you have any tips for those interested in starting a garden but don’t know where to begin? Haha, yeah, I wrote a whole book on vegetable gardening for beginners, called The 20-30 Something Garden Guide A No-Fuss, Down and Dirty, Gardening 101 for Anyone Who Wants to Grow Stuff (St. Lynn’s Press.) My first tip would be to start small. We all want to grow everything, but no one has time for that. My garden is much larger now that my kids are mostly grown. When they were little, I wish I’d grown more in containers because you can control so many of the variables. Also, don’t feel like you have to grow everything you eat. You may do that one day, but just starting out, you don’t need to homestead. 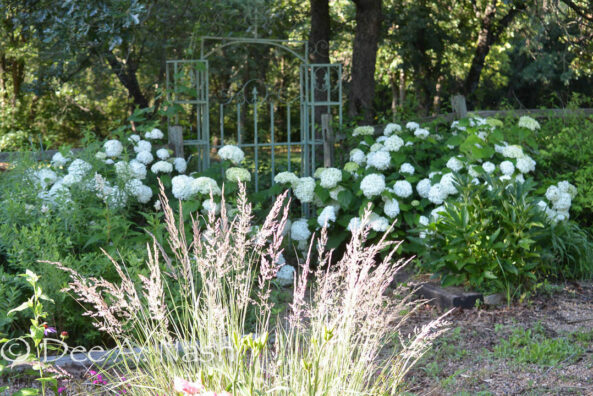 Did you enjoy this Garden Tour? Check out Dee Nash on her website at : ReddirtRamblings.com where you will find her favorite social media site links so you can connect. [alert-announce] When did you begin gardening? Where you in your 20-30 or earlier in life? I hope you enjoyed the garden tour today. I’d love to connect with you so please comment below. Looking forward to the winter garden. Leafy greens like collards and kale are reliable. 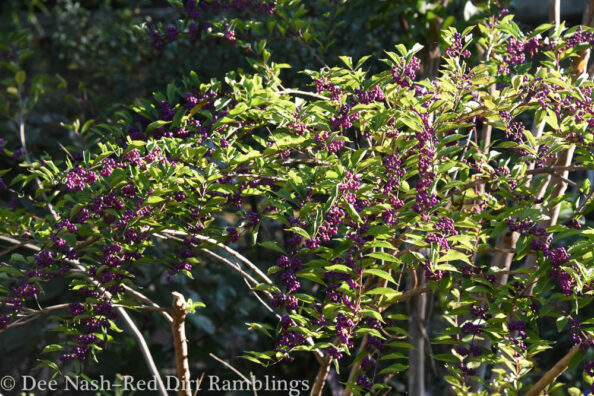 Shrubs and trees for next spring as well.